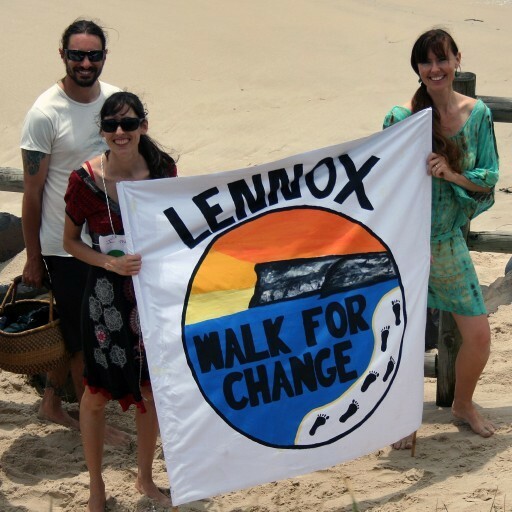 Approximately 300 people marched in Lennox Head in solidarity with people all over the world as part of the Peoples Climate March on Sunday 29th November. The event was organised by Community Owned Renewable Energy Lennox (COREL), a newly formed group which aims to take local action on climate change through various renewable energy projects . Any future money and sponsorship COREL raise will be put back into clean powering community owned assets. The Walk fell on the eve of the Paris Climate Conference and was intended to send a message around the globe for action on climate change. A crowd gathered at the park near the bus shelter where they listened to speakers, including organiser Amelia Hicks, Greens MP Tamara Smith and multi award winning travel writer Louise Southerden. Other guest speakers included members of community energy group Mullumbimby COREM sharing their knowledge and experiences after already being established since 2014. In attendance were Ballina Councillor Jeff Johnson and Mayor David Wright. Many participants in the walk and others passively attending added their name to a public letter which will be sent to Ballina Council showing the community’s support for new renewable community projects. Despite the cloudy weather (and several light showers) the event PA was completely powered by the sun, thanks to Sebastian Sledge of Solar Trailers Australia and his 1.6 KW mobile power station. The sound gear was supplied by Disco Statik and Master M.C. Vic Leto was very impressed that for the first time in 32 years hosting, the P.A. ran entirely ‘unplugged’ and free off the sun! NOTE: As a founding member of COREL I was also an organiser of the event.